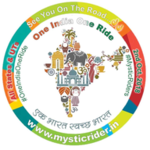 The Mystic Riders, during their all India #OneIndiaOneRide visited a remote village Bartola to be guest of Rekha Ji, Inspired by her struggle and work how she handling her in-laws as well as own family with dedication and commitment. Her story is one of unique inspiration for all irrespective to male or female. One must ceased the conclude the meaning of Women Empowerment is solely related to financially independent, to understand the real meaning of women empowerment. Women today are living a near-constant empowerment, from what she eats to the way she cleans or manage her home, till how to take care of near and dear ones, said Barbara Klein, professor of women's studies at Oberlin College. The MysticRiders taken the inspiration from Rekha (Bhootni Rekha, Her Pen Name), at a remote village Bartola in Rajastha. She was an ambitious girl from childhood, being a Rajasthani girl, it was not easy for her to overcome all odds as victorious, a real example of women empowerment. 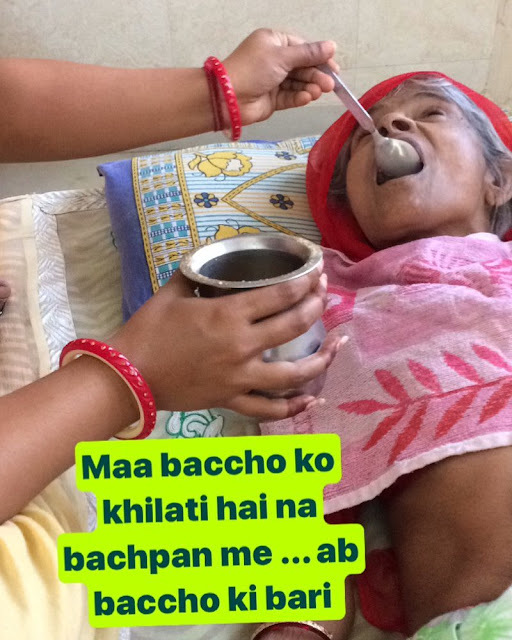 Every day she takes care of her mother, who is paralyzed since 18+ years and on bed. From bathing to feeding, toilet to roaming around, Rekha always stays by her side like a shadow to help her. Along with serving her mother at her in-laws, which is not easy today. Riders also interacted with Rekha’s husband who runs a small garage and highly co-operative. He expressed his support for Rekha stating “She is a Mother or Mother”, a true woman who always ready to do her part of responsibilities. The Mystic Riders salute her courage and work, wishing her all the best as well as support for her work and sacrifice.